Shorts - Because I live in shorts when I'm not at work. Sandals - I make sure I pack cute sandals that scream "I'm on vacay!" How cute are these? Sneakers - Because travel = adventures, and we all know that involves a lot of walking. I love the athleisure look that's been trending, so sneakers + dresses and any casual outfit is a go. Chambray Shirt - I love that this can be worn as a shirt on it's own, or thrown over a dress as a jacket when it gets chilly. T-Shirts - I love the simplicity of a good quality t-shirt, it can be paired with shorts or thrown over a dress and knotted. Passport Holder - why not style your passport? Headphones - perfect for catching the in-flight movie, or zoning out to your music. Sleeping Mask - perfect for those red eyes where you need to get some rest. It's so much easier to falls asleep and stay asleep when you can block out the light. Neck Pillow - I like the inflatable pillows are that covered with fleece. Make sure you get the quick deflating ones so that you don't have to spend extra time pushing all the air out when you need to get off the plane. The nice thing about inflatable ones is you can change the support/pressure by inflating it more or less to your liking. 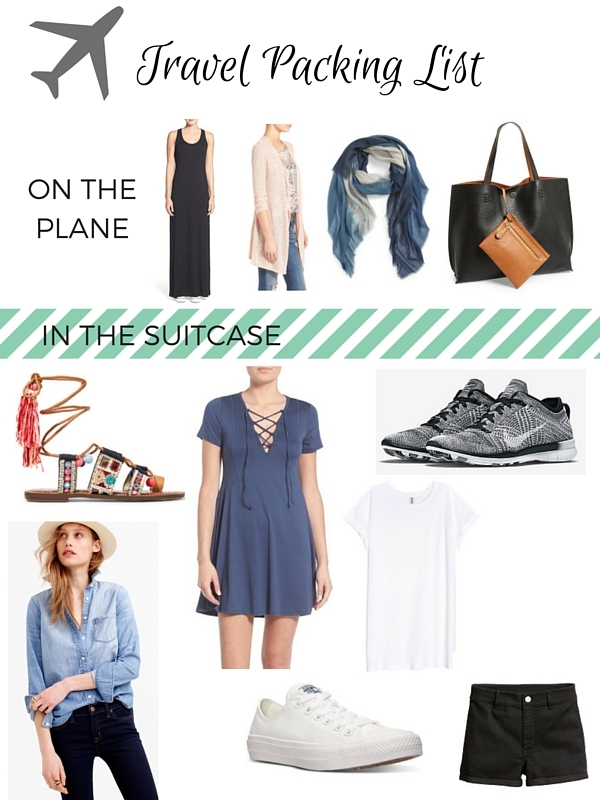 The perfect travel essential post! Seriously Mindy thank you for this post, I need a good packing list to go to before my summer travels this year. Thank you for sharing! Perfect! This list is everything necessary! This is perfect timing as I'm leaving for vacation this Thursday 🌞🌞🌞. I love the bag lost especially since I wanna but chic but comfortable. That sleeping mask looks outstanding! Love the look for on the plane! I've been wanting a pair of mirrored sunnies so badly lately. Sounds like a good start to summer for you!! Great post!! I am definitely going to follow this guide when I head out to Chicago in a few weeks! !